Gardens have always had a special significance in British and especially in English culture. It is therefore not surprising that gardens feature in many English novels. Moreover, the British have long been known for their love of, and attachment to, the landscape of their Isles. 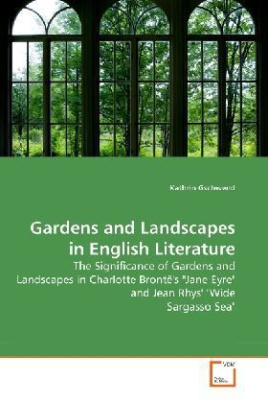 Gardens, landscapes and nature in general are important themes throughout the history of English literature, although they are especially widespread in Victorian literature. Both Charlotte Brontë and Jean Rhys make use of the concept of the garden and of landscapes in their novels. This thesis shows that the use of garden and landscape imagery goes beyond a mere description of the natural surroundings. The gardens and landscapes are part of the narrative and in tracing the different landscapes of both stories we can get to a deeper understanding of the text.